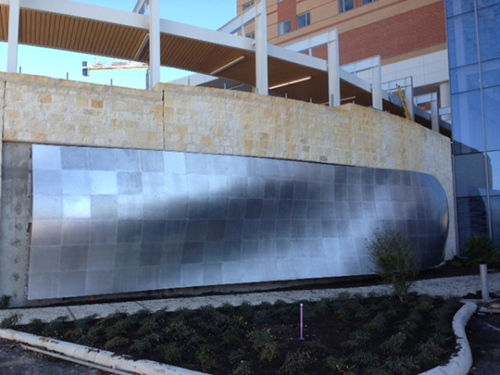 This was an exterior wall for the same hospital as the above project. This was done with local metal artist George Schroeder at Metalmorphosis. 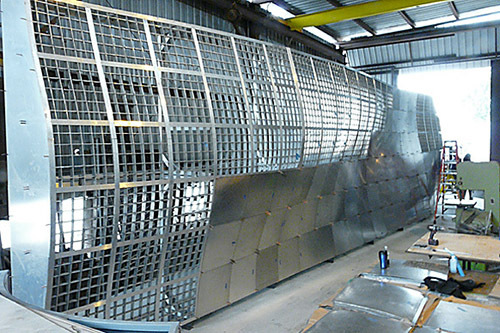 RiverCity was responsible for the laser cutting of the grid sub-structure. Material was 3/16″ aluminum sheet.